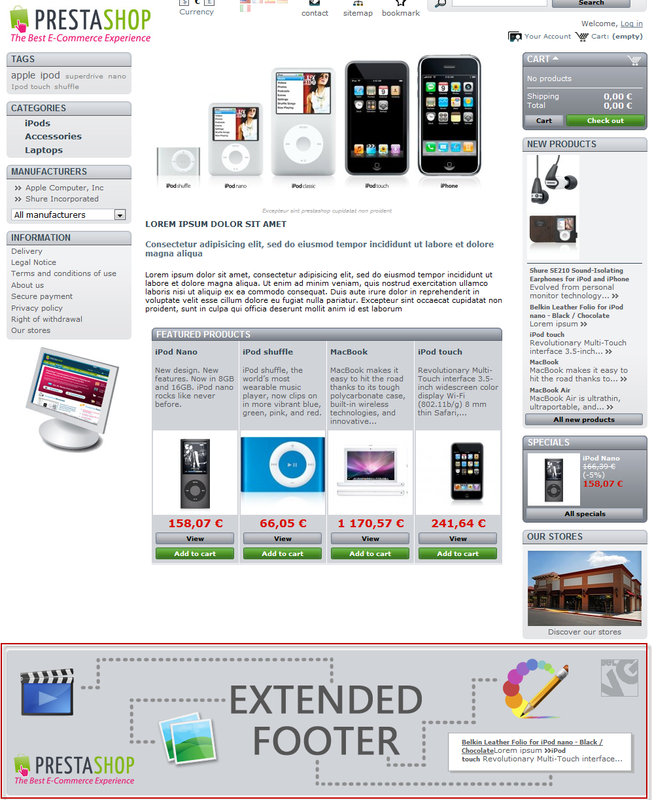 Dress up your footer with Prestashop Extended Footer module. 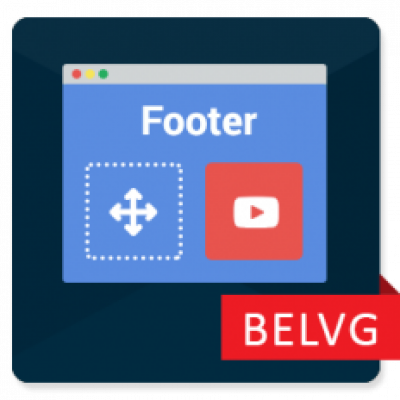 Configure footer size, choose background color or picture and use WYSIWYG editor to create blocks with any content – text, lists, tables, links, video, audio and more. Drag these blocks to position them just the way you want it. Check out the footer preview and upload it on the front-office instantly. 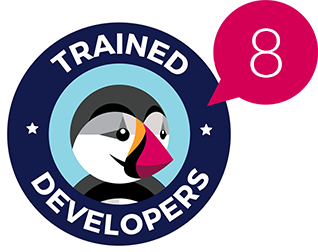 Construct an informative footer and edit it easily with Prestashop Footer Extended module. 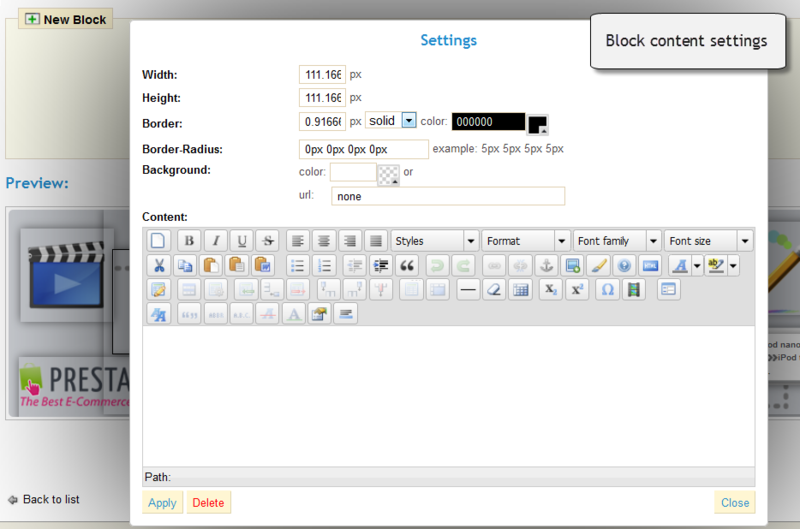 Create blocks with eye-popping graphics, snappy typography or well-written text in a WYSIWYG editor and drag them around the footer to use the space smartly. 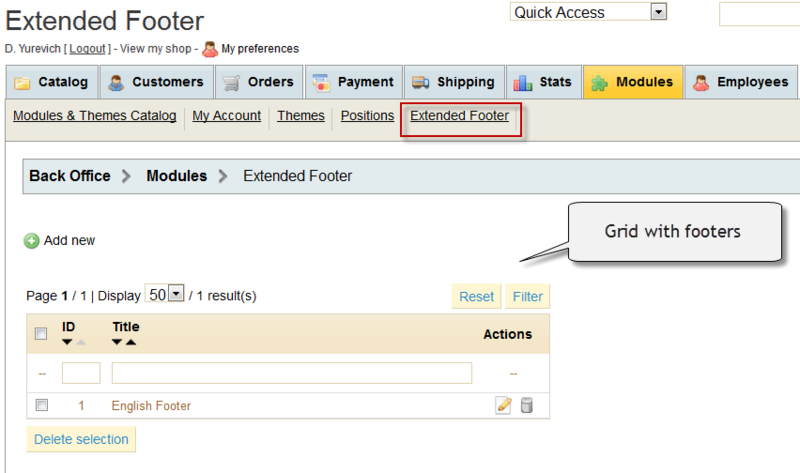 Check if everything’s OK on the preview and upload a newly created footer on the front-office.